Nylon grooming bag from Equestria Sport Series. These fun colorful grooming bags feature one open center surrounded by many small compartments on the outside. 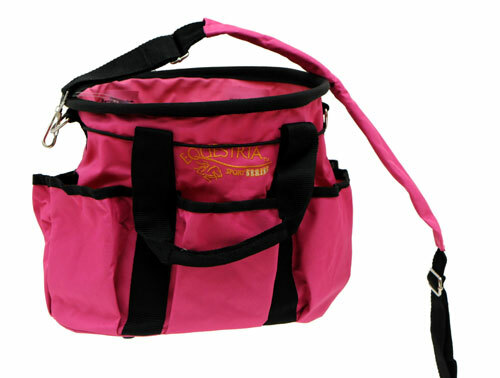 You can carry it by handles or the detachable padded shoulder strap.